A deal worth approximately $11.1 billion has been reached for GE Transportation to merge with Wabtec. 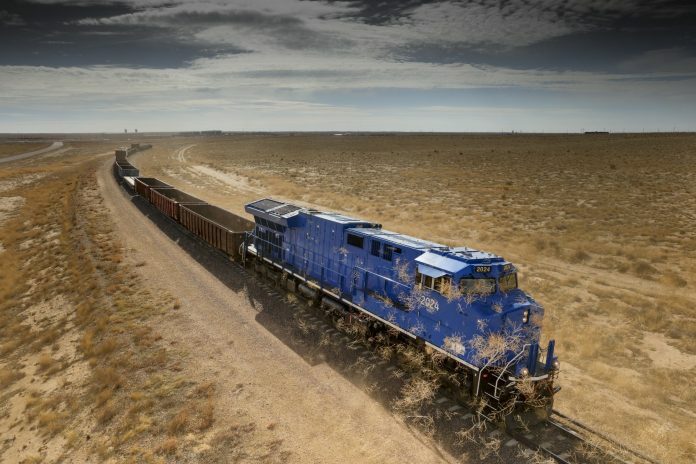 The announcement comes six months after General Electric (GE) confirmed it was looking to sell or spinoff the “non-core” transport division to become “simpler, stronger and to drive more growth” and follows the sale of GE’s rail signalling business to Alstom in 2015. Rail equipment provider Wabtec said that combining with GE Transportation, a leader in locomotive production, will make it a “Fortune 500, global transportation leader in rail equipment, software and services”. It also highlighted opportunities for cross-selling between the two businesses, which are both headquartered in the United States. If the transaction closes as anticipated in early 2019 – the deal is subject to approval by Wabtec shareholders and regulatory approvals – Wabtec will have approximately $8 billion in revenues with around 27,000 employees and operations in more than 50 countries. However, $250 million annual cost savings are expected by 2022. Wabtec CEO Raymond Betler said that the two companies have highly complementary strengths and a “unique opportunity to drive tremendous growth in 2019 and beyond”. In November 2017, when GE chair John Flannery confirmed rumours that the company was looking to offload its transport division, reports circulated that while the business had grown on the international front – GE Transportation has recently secured big contracts in Ukraine and India – there had been a downturn in demand in North America. But Rafael Santana, GE Transportation’s CEO who is set to become CEO of Wabtec’s freight segment, said that the American market is changing. The announcement that both companies’ boards have approved the merger was made on May 21. In addition to Santana’s changed role, it was also announced that Albert Neupaver has been reappointed as executive chair of Wabtec and that Wabtec COO Stéphane Rambaud-Measson will become CEO of Wabtec’s transit segment. Following the completion of the transaction, Wabtec’s corporate headquarters will remain in Wilmerding, Pennsylvania. The freight segment will be headquartered in Chicago, and Wabtec’s transit segment headquarters will remain in Paris. Very interesting. I hope this brings new projects and ideas. This merger seems great, are there any advancements in creating efficient, electric powered trains in the US?